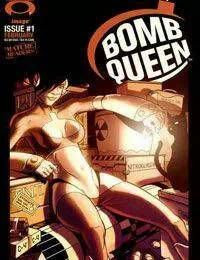 For a decade, the egomaniacal super-villain known as Bomb Queen has ruled the city, made the laws and bent the people to her blood lust and sexual perversion. However, despite years of death, destruction and moral decay, the people of New Port City prefer Bomb Queens methods. All hell breaks loose when a hero comes to town and turns Bomb Queens world upside down. This hero has to die - or Bomb Queen will loose her rule!